In an increasingly hyper-interactive world, the very notion of a museum seems rather quaint: the hushed environment, the quiet contemplation of artifacts and art, the idea of spending two or three hours not touching your smart phone. But as it turns out, today’s museums are often a far cry from the dust-covered repositories of the ancient and discarded that so many of us recall from those grade-school class trips. Philadelphia and its environs now boast a wonderful palette of museums, historic houses, and simply downright odd collections brimming not only with relics of the past, but in many cases cutting-edge interactive exhibits, live performances, cool classes for kids and adults, even the occasional soiree with a nice glass of pinot. Put down your phone, get off your couch, and go see something. Because when it comes to the cool, the offbeat, the breathtaking and the illuminating, it turns out our museums are something to see. 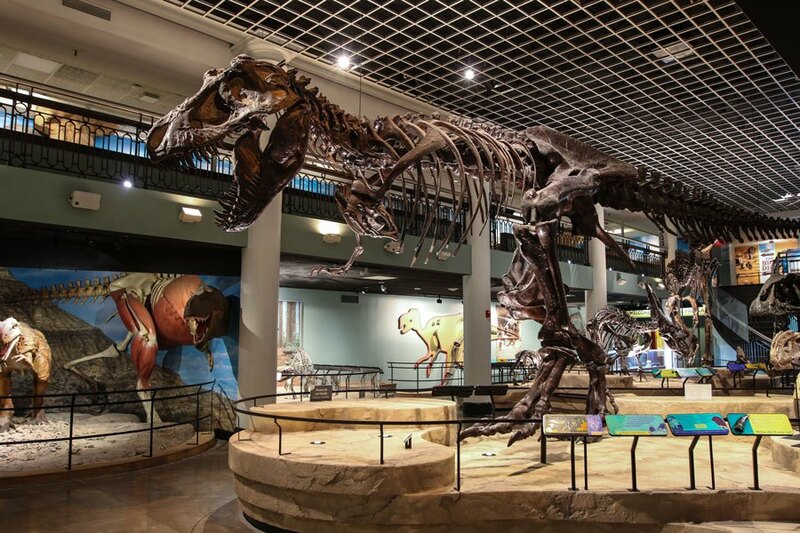 Come for the dead dinosaurs and live butterflies, stay for the weird little extras you forgot almost were there: the fossils, the exotic bugs, the taxidermied wildlife dioramas from a bygone era. Keep an eye on the schedule to time your visit with one of their oversized temporary exhibitions and/or interactive programs. Weekdays: adults $19.95, children $15.95; weekends: adults: $21.95, children: $17.95, 1900 Benjamin Franklin Parkway, 215-299-1000, tickets. The Academy of Natural Sciences. Photograph by Mike Servedio. The AAMP’s permanent exhibitions — like Audacious Freedom: African Americans in Philadelphia 1776-1876 — and other displays illustrate some of America’s least-told stories using video, image, and text. Always bustling with activity, the museum frequently hosts movie screenings, lectures and family-friendly events. Adults $14, children $10, 701 Arch St., 215-574-0380, buy your tickets at the door. Did you know Philadelphia was once part of a large swath of the Delaware Valley called New Sweden? Yeah, that didn’t last long, but there are still flecks of Swedish influence here and there. (Queen Village was named for Queen Christina of Sweden, for instance.) This grand but sometimes overlooked museum nestled in the center of South Philly’s FDR Park is full of artifacts from both sides of the diaspora, including some cool Viking stuff. Adults $10, children $5; 1900 Pattison Ave., 215-389-1776, buy your tickets at the door. 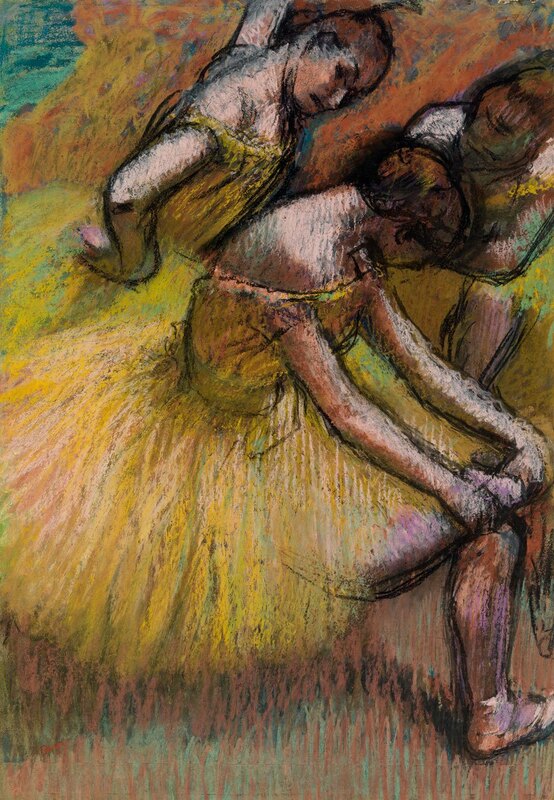 A painting by Edgar Degas at the Barnes Foundation. Photograph courtesy the Barnes Foundation. Despite its controversial backstory (if you don’t know, go watch The Art of the Steal) the Barnes has earned its rep as a world-class art institution since opening its doors in 2012. The calendar’s always booked with soirees and temporary installations, but the main attraction is its gigantic collection of impressionist and post-impressionist paintings. Matisse, Gauguin, Cézanne, Pinto, and all their buddies fight for your eye in every room of this eclectic and idiosyncratically arranged museum. Adults $25, children $5; 2025 Benjamin Franklin Pkwy, 215-278-7000, tickets. This is not one of those hands-behind-your-back museums. There’s a giant heart to climb through, a real locomotive to hop aboard, escape rooms to bust out of, and physics demonstrations tossing marbles and bolts of electricity all over the place. 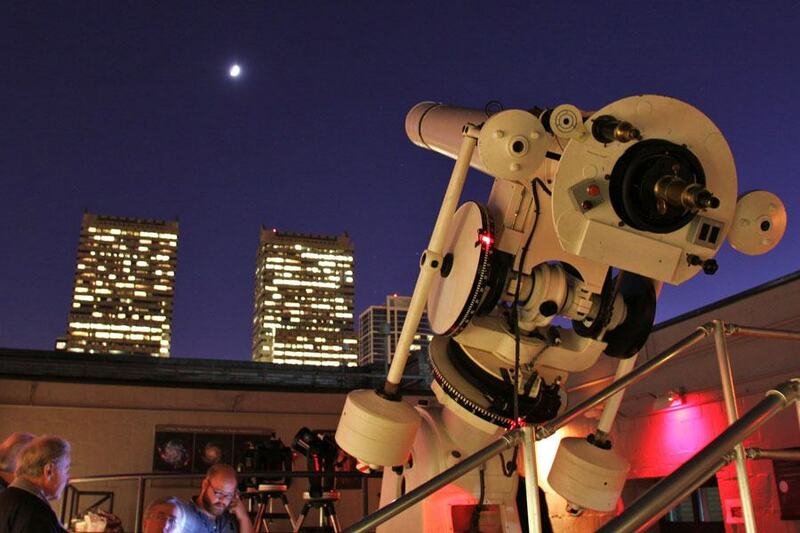 Oh yeah, can’t forget the IMAX theater, the flight simulator, the planetarium and the space observatory (aka the giant telescope on the roof). The Franklin Institute is also know for its flashy temporary exhibitions; previous installations include Body Worlds, Star Wars, King Tut, etc. Adults $23, children $19; 222 N. 20th St., 215-448-1200, tickets. Photograph courtesy the Franklin Institute, one of the top Philadelphia museums. Look past that whimsical, Dickensian name and cast your eyes toward the bloodstain on the hardwood floor in the parlor. That’s where British Brigadier-General James Agnew died after taking a bullet in the Battle of Germantown. John Wister’s Big House (as it was once known) isn’t all grim and gore however; its primary occupants were famous horticulturists and the Grumblethorpe grounds are bustling with flowers and other era-appropriate greenery. $8, 5267 Germantown Ave., 215-843-4820, buy your tickets at the door. Dr. Philip Syng Physick is hailed as the “father of American surgery,” thanks to his pioneering procedures and inventions (like the stomach pump), and over the course of his long career he treated everybody from Dolley Madison to Andrew Jackson. (Some say Dr. Phil invented the flavored carbonated beverage as well, and he haunts the soda tax to this very day!) You can tour his brick Society Hill manse, which was built in 1786 in the neoclassical Federal style — popular in Philadelphia at that time. $8, 321 S. Fourth St., buy your tickets at the door. Opened in 2017, this Old City museum focuses on the War for Independence, so there’s lots of cannons, uniforms, letters from soldiers, and other memorabilia from the country’s bloody origins. That said, it’s quite family-oriented, and is always hosting kid-friendly interactive and educational events. Adults $21, children $13; 101 S. Third St., 215-253-6731, tickets. American history and the foundations of democracy are at the core of the NCC’s mission, and they’re always welcoming temporary but long-running exhibitions with a pop-culture sheen to lure the otherwise museum-averse. (See Hamilton: The Constitutional Clashes that Shaped a Nation, Chasing Dreams: Baseball and Becoming American, etc.) Also, presidents, Supreme Court justices and other national figures are always dropping by to sip champagne, sign books and talk about freedom. Adults $14.50, children $11; 525 Arch St., 215-409-6600, tickets. This massive, architecturally striking museum just across the lawn from the Liberty Bell shines a light on the history of the Jewish people in America using art, artifacts and informative displays. Albert Einstein, Sandy Koufax, Esteé Lauder, and Golda Meir are just some of the figures whose lives are spotlighted in the museum’s permanent collection. Adults $15, children $13; 101 S. Independence Mall East, 267-219-8848, tickets. The Penn Museum, a.k.a. the University of Pennsylvania Museum of Archaeology and Anthropology, hosts a wealth of ancient antiquities from Egypt, Asia, South America, Mesopotamia, and more (including a sphinx and some mummies). Their programming includes lots of informative and interactive events for adults and kids alike. Adults $15, children $10; 3260 South St., 215-898-4000, tickets. David Lynch, Don Martin, and Thomas Eakins are just some of the artists who walked the halls of this Broad Street institution at one time or another. As you might expect from a 200-plus-year-old art school/museum — the first of its kind in the U.S. — PAFA has accumulated a varied collection of paintings, sculpture, works on paper, photos, and more. Adults $15, children $8; 128 N. Broad St., 215-972-7600, buy your tickets at the door. 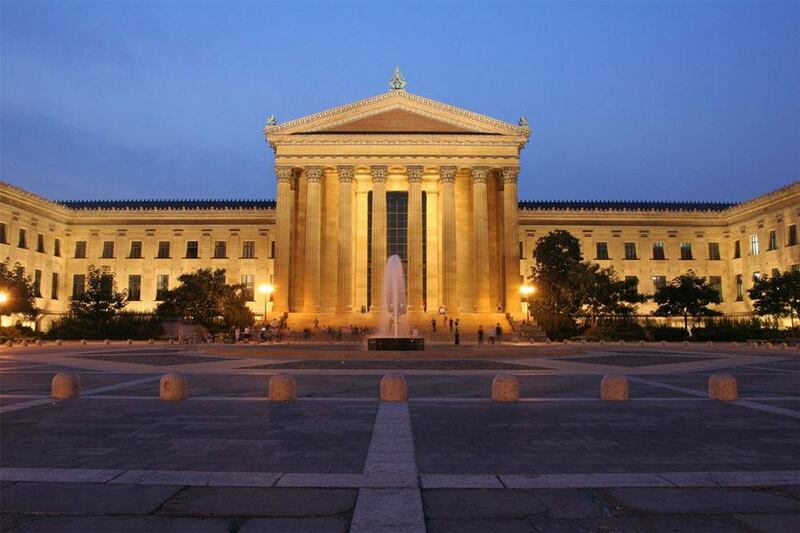 The crown jewel on the Parkway and the Philly art world in general, the PMA houses a world-class collection of works by countless artists in all media. Within its many galleries you’ll find an international treasure trove of wonders: suits of armor, Persian carpets, a Japanese teahouse, and works by Duchamp, Schiaparelli, Klimt, Bosch, Picasso, Tanning and on and on. Adults $20, children $0-$14; 2600 Benjamin Franklin Pkwy., 215-763-8100, tickets. Built in 1765, this small but striking Georgian-style row house was home to Elizabeth Willing Powel, socialite and trusted confidant to President George Washington back in the day. Ben Franklin, John Adams, the Marquis de Lafayette and other powdered bigwigs are known to have partied there, too. Later the place was used for industrial purposes and was actually slated for demolition until it was rescued and turned into a museum dedicated to life in colonial/post-colonial America. $8, 244 S. Third St., 215-627-0364, buy your tickets at the door. Auguste Rodin had no personal connection to the City of Philadelphia, but thanks to post-fin de siècle art collector Jules Mastbaum, we’ve got a whole museum dedicated to the famed French sculptor. A uniquely indoor/outdoor affair, the Rodin Museum has a contemplative Thinker guarding its front entrance, but the most breathtaking piece is The Gates of Hell, an oversized bronze ingress depicting some of Dante’s darker visions. Adults $10, children $7; 2151 Benjamin Franklin Pkwy., 215-763-8100, buy your tickets at the door. 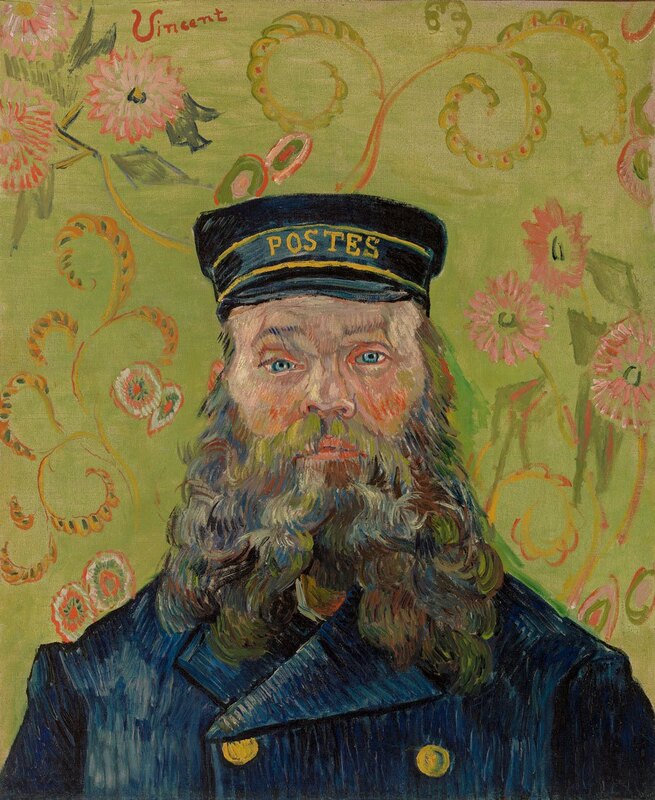 The Postman by Joseph-Étienne Roulin at the Barnes Foundation, one of the best Philadelphia museums. Photograph courtesy the Barnes Foundation. James Joyce’s Ulysses was banned for its apparent obscenity, but Philadelphia art collector and scholar Dr. A. S. W. Rosenbach was into it, which is how the now revered Irish author’s manuscript became the centerpiece of this eclectic and fascinating Rittenhouse Square-area museum. The museum celebrates this Joyce connection with its annual Bloomsday readings. Other treasures in the Rosenbach include letters by George Washington, a library full of first editions and rarities (Mary Shelley, Cervantes) and the personal archives of Maurice Sendak, author of Where the Wild Things Are, among other wild things. Adults $10, children $5; 2008 Delancey Pl., 215-732-1600, buy your tickets at the door. The halls of this stately Victorian mansion in Chestnut Hill are dedicated to Philadelphia area artists from all eras, including Mary Cassatt, Benjamin West, Thomas Pollock Anshutz, Jasper Francis Cropsey, Elizabeth Osborne, N. C. Wyeth and more. Arts education is also part of the Woodmere’s mission, and its temporary exhibitions occasionally highlight young and rising artists in working in sculpture, painting, photography, and more. Adults $10, children free; 9201 Germantown Ave., 215-247-0476, buy your tickets at the door.